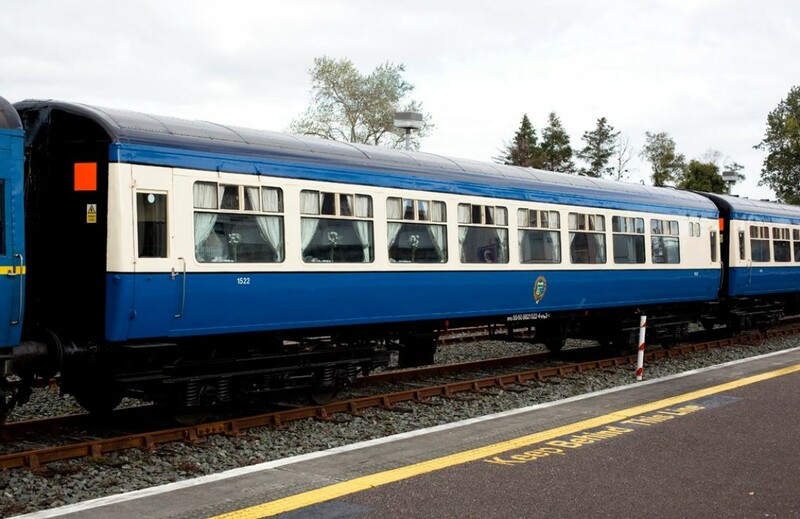 1522 is the dining car used on our Dublin based Cravens set. Originally a 64-seat Standard Open, she was part of the second batch of Cravens carriages (1514-1543) delivered to CIÉ as kits of parts in 1964 and assembled in CIÉ's Inchicore Works. She was one the Cravens wired for working an intermediate trailer in AEC railcar sets, but apart from the lived a fairly standard career under CIÉ and Irish Rail/Iarnród Éireann. Over the decades she would have been used on everything from Cork Expresses to humble branch line services, and everything in between. After well over four decades of service, IÉ withdrew the Cravens fleet from service over the course of 2006. 1522 was withdrawn in the early half of that year and languished at Inchicore before being preserved by the RPSI in early 2007. While a small number of Cravens had been converted to snack cars at various points, including 1508, the fleet had always lacked proper dining facilities. In their early years they would have operated with the various 24xx series catering cars built by CIÉ in the 1950s and early 1960s. When this stock was phased out in the 1980s, a few Cravens were converted to snack vehicles- but even then they lacked proper kitchen facilities. 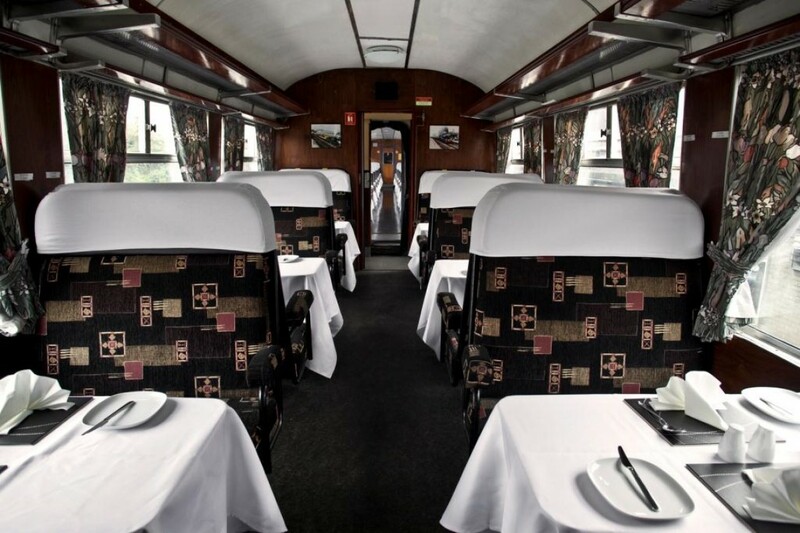 In order to provide our Cravens set with a diner facility to match that in the Heritage set, 1522 was earmarked for renovation as a dining car. In the company of BR van 3173, she was hauled to our Mullingar depot by IÉ GMs 152+190 on Friday 11th May 2007. 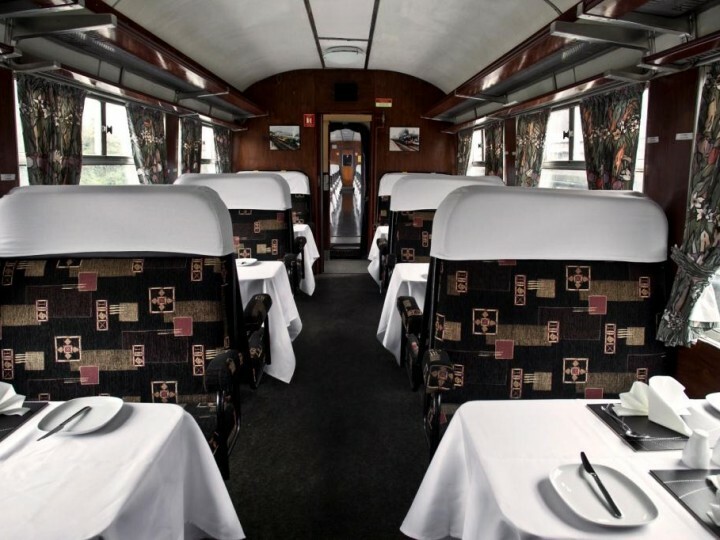 Our volunteers then set to work on her renovation, resulting in a 24-seat coach with full kitchen facilities and serving counter. As part of the project, her seating was reupholstered and the interior panelling stained to give a more traditional appearance. The layout is modelled on that of GNR(I) diner 88, which is part of the Dublin based Heritage set. However, the wider body profile of a Craven allows for a more spacious interior. Efficient as always, our Mullingar volunteers completed the renovation in early 2009 and she transferred back to Dublin on the back of that year's Easter special from Mullingar. She entered revenue-earning RPSI service on the "Carrowbeg" International railtour to Westport and Ballina in May of that year, and has been warmly received. Now a firm fixture of our Dublin based trains, and an integral part of our revenue stream, it's hard to imagine how we ever managed without her! After her renovation at Mullingar she continued to operate in the IÉ black and orange livery for some years. 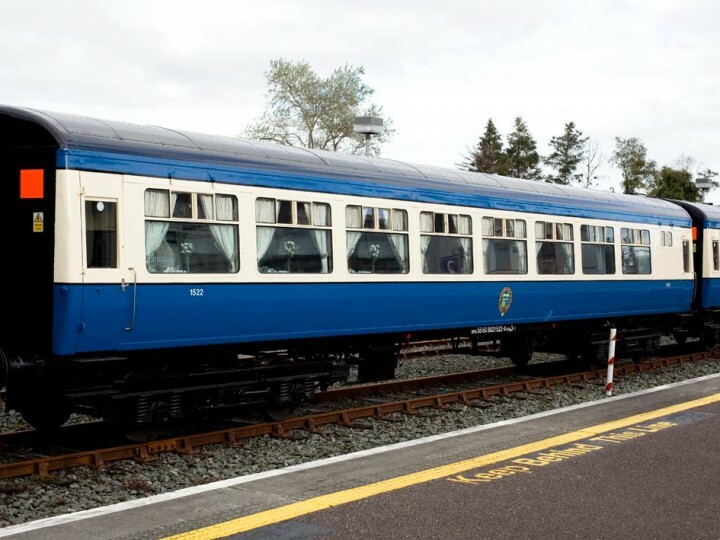 By 2014 this paintwork was getting tired and in September she was repainted by IÉ's Inchicore Spray shop in the new blue & cream livery, along with bar car 1514. She then went to provide First Class dining facilities on the prestigious "Emerald Isle Express" charter around Ireland.